Patterns between two languages are a great way to quickly build vocabulary, as they make it easier to memorize words. 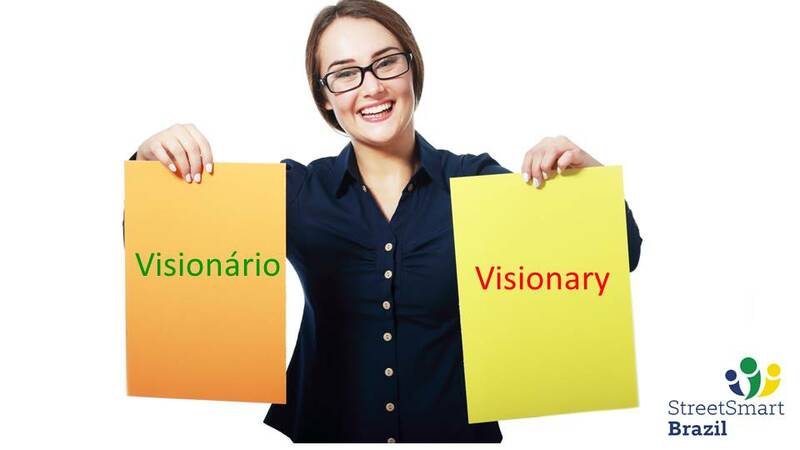 Working with words that are similar in English and in Portuguese is great to practice pronunciation because you can really compare how the same syllables are pronounced in the two languages. Listen closely to the pronunciation of the words in Brazilian Portuguese. Don’t be fooled by the fact that you understand the word. Make sure that you truly get its pronunciation. Notice that the words in Portuguese have the graphic accent that we call acento agudo (´). It indicates where to place emphasis when you pronounce the word. I have other lessons that use different patterns between English and Portuguese to teach you vocabulary and pronunciation. Check them out on my Portuguese Starter Kit page. Below is a list of 38 words that follow the pattern –ary –> ário. In the video, I say the 18 words that are in bold below to help you practice pronunciation. Speak Portuguese with confidence in your grammar and pronunciation. Learn with a Street Smart Brazil pro. Book a Trial Lesson here to get started. Espero que voce esteja bom e muito obrigado por seu emails que os encontro bastante interessantes. Sempre aprendo algo novo deles. Quero perguntar-lhe algo. Voce conhece algum libro intermeddiario para aprender o potugues de Brasil com explicacoes em espanhol? Agradeco seu tempo Luciana e que esteja sempre com saude! !